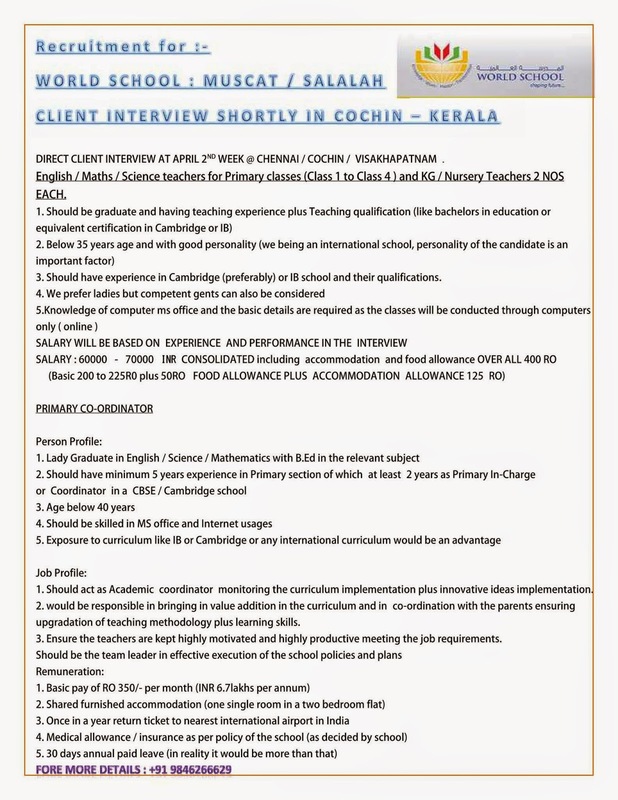 DIRECT CLIENT INTERVIEW AT CHENNAI / COCHIN / VISAKHAPATNAM SHORTLY. 1. Should act as Academic coordinator monitoring the curriculum implementation plus innovative ideas implementation. 2. would be responsible in bringing in value addition in the curriculum and in co-ordination with the parents ensuring upgradation of teaching methodology plus learning skills. 3. Ensure the teachers are kept highly motivated and highly productive meeting the job requirements.